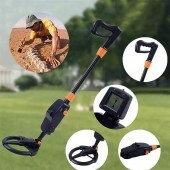 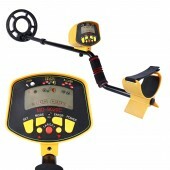 This 3 in 1 Stud Center Finder Metal and AC live wire detector is a good helper when you decorate your home. 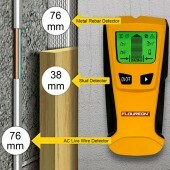 It can avoid unnecessary losses when you want to dig a hole to hang a picture or install shelves and so on by locating hidden metal pipes, live wire,stud and wooden frames accurately. 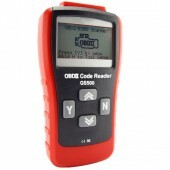 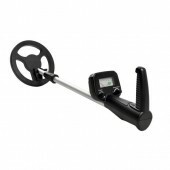 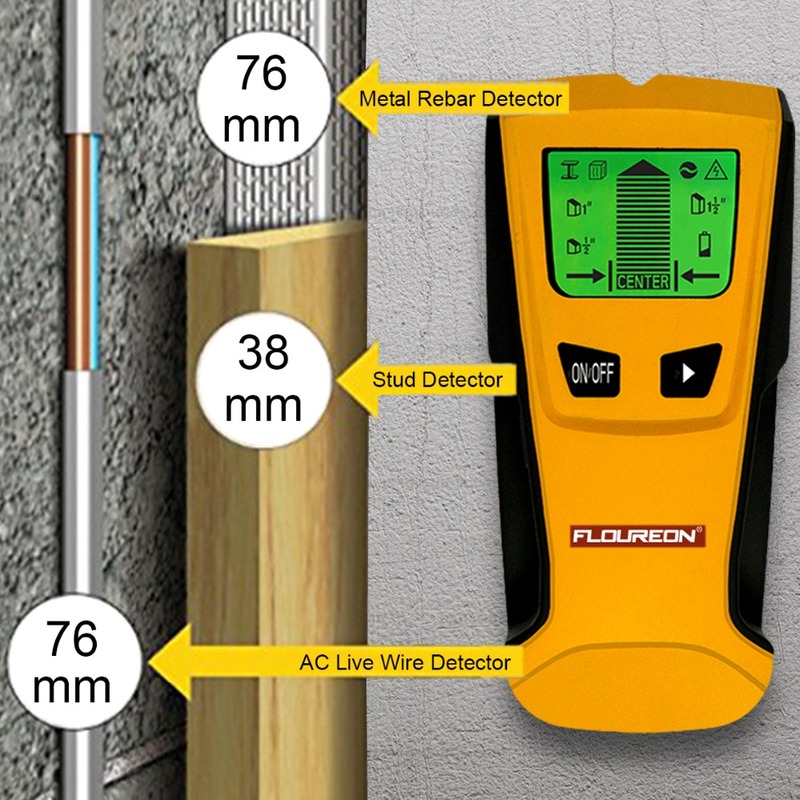 It has 3 detector modes:1.Stud Scan Mode: locates the edge of metal and wood stud in normal walls up to 1.5 inch (38mm)2.Metal Scan Mode : locates the metal such as iron,copper and aluminum pipe up to 3 inch(76mm);3.AC Wire Scan Mode : locates the AC wire up to 3 inch(76mm).This detector comes along with a audio and visual indication which allows you to make a mark easily when the metal ,AC live wire and stud is detected.And the LCD screen is easy to read for the backlight.